LYNDA M. FOX MEMORIAL KEYNOTE ADDRESS GIVEN INSTITUTE- UNIVERSITY OF COLORADO MEDICAL SCHOOL ASPEN, COLORADO JULY 21, 2000 PRESENTED BY LEWIS MALTBY PRESIDENT NATIONAL WORKRIGHTS INSTITUTE In the climactic scene of Inherit the Wind, the classic movie about the Scopes trial, Clarence Darrow turns to the jury and tells them, “ladies and gentlemen, progress is like a storekeeper. You can have anything you want, but you have to pay the price. You can have the telephone, but you will loose some of your privacy, and the charm of distance. You can have the airplane, but the birds will lose their wonder and the clouds will smell of gasoline.” The author of those words never heard of genetic testing, but his words were prophetic. The remarkable advancement in our collective understanding of human genetics hold the key to vast improvement in the human condition. Or, it may plunge us into a new dark ages of medical discrimination. In the long run, the genetic revolution may prove to be a historic blessing. Scientists have now identified the markers that are associated with many genetic diseases, such as Huntington’s, Alzheimer’s, and breast cancer. Knowing the gene that causes these horrible conditions may well be the first step toward finding a cure. The genetic revolution could even be as monumental a step forward as Pasteur’s germ theory of disease. Modern medicine has conquered virtually every disease caused by microorganisms. The diseases that we cannot cure appear to arise from inside ourselves, from our own genetics. Think what the post-genetic world could be like. A world in which vibrant young men no longer turn into human statutes and die. A world in which young women aren’t forced to mutilate themselves and still die before their children are out of elementary school. A world in we don’t have to watch our parents slowly losing their minds while we stand by helpless. But these utopian changes are years in the future, probably decades. The immediate future looks much more grim. What happens during the time when we can identify the genes linked to disease, but have no prevention or cure? What happens to those among us who have been identified as carrying the gene for Huntington’s or cancer, but whose medical future we cannot affect? The sad truth is that these people will probably be subjected to a lifetime of employment discrimination. The economic cost incurred by a person with Huntington’s disease is approximately $50,000. What employer will hire a person who comes with that kind of liability? What employer will willingly hire a woman who carries the genetic marker for breast cancer? It’s true, of course, that the math isn’t that simple. With the exception of Huntington’s, having a genetic marker represents only an increased probability of contracting the disease. There are also varying degrees of expression. And the best candidate for a job brings more value than the other candidates. But the bottom line is still the same, unless you’re a superstar, you won’t get the job. What’s worse, you won’t get any job. If you’re denied a job because of your race or your gender, at least you have the chance to keep applying at other places until you find an employer that isn’t biased against you. But it’s totally different with genetic discrimination. An employer who refuses to hire someone with a genetic marker isn’t acting on irrational bias. In some cases the discrimination really is cost-justified. It may be bad ethics, but it’s not bad economics. And since the one thing we can count on all employers to do is to protect the bottom line, genetic discrimination may become universal. We are facing the prospect of thousands of young, capable people being denied the opportunity to have a career and contribute to society. Fortunately, genetic discrimination is still uncommon. According to the American Management Association, only 1% of employers have a genetic testing program. The reason for this is not ethics, but money. At the present time, genetic testing is not generally cost-justified. An employer would have to test thousands of potential employees to find a single person with the Huntington’s gene. The cost of testing so many people is greater than the amount that would be saved by excluding the person with Huntington’s. But this could easily change, and very soon. The cost of technology always drops dramatically once it moves from the laboratory to the factory. Genetic testing technology will be no exception. Tests have already been developed that will reduce the cost of testing for HD by an order of magnitude. Even more important are the implications of the development of tests for more common genetic markers. For example, the incidence of breast cancer is 30 times that of Huntington’s. An employer can get 30 times the financial payoff from screening for breast cancer genetic markers than it can by testing for Huntington’s. While the numerical dust hasn’t settled yet, there are many who believe that genetic screening will soon be cost-justified. When this occurs, genetic testing may become as common as drug testing is today. To make matters worse, the law doesn’t protect us against genetic discrimination. The only relevant federal law, the Americans with Disabilities Act, defines “disability” as being “substantially limited in the ability to carry out major life activities”. 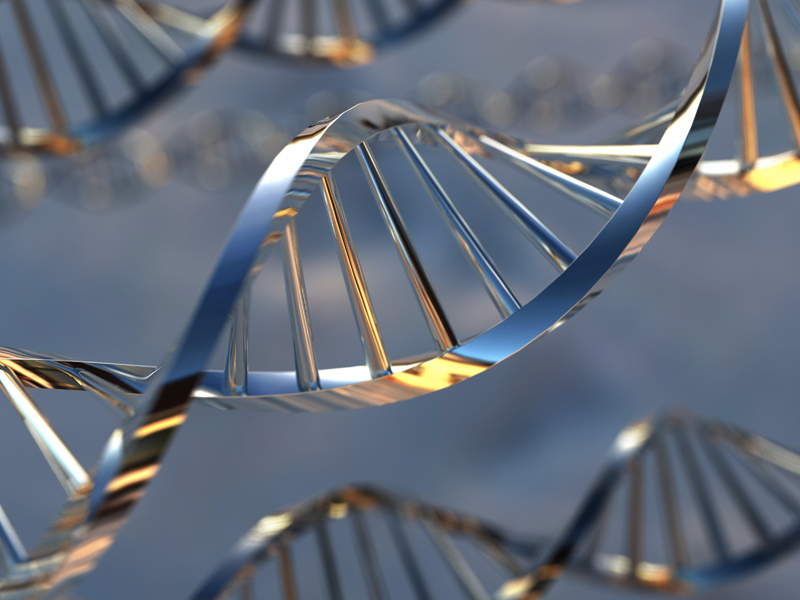 While a person who currently has a genetic disease may well meet this definition, someone who merely carries the gene associated with a disease does not. They are not at all limited in their abilities because they have no symptoms. There is another definition of “disability” under the ADA. The act also protects people who are “perceived as” being disabled. But this doesn’t really fit either. Employers don’t mistakenly think that asymptomatic carriers of a genetic mutation are limited. Employers know perfectly well that a woman with the breast cancer gene is just as capable as anyone else. They just know that she has a higher than average likelihood of running up a big medical bill in the future and want to avoid the expense. While the courts have not yet acted definitively on this issue, the indications are grim. Federal courts have been working overtime to interpret the definition of disability in the narrowest possible way. It would be surprising indeed if they were sudden to accept an argument that broadens the definition. The Supreme Court’s decision in Bragdon v. Abbott, while holding that people who are HIV positive are covered by the ADA, is especially disappointing. This was a textbook case of discrimination based on future disability. But the Court refused to decide it that way. Instead, the Court conjured up a tortured claim that a person who is HIV positive, although totally asymtomatic, is already disabled. Many states have enacted statutes that address this problem by specifically prohibiting genetic discrimination in employment. Fourteen states now prohibit genetic discrimination by employers. Unfortunately, many of these laws provide little or no protection in practice. For example, some state laws outlaw genetic discrimination, but do not address employer access to genetic information. Employers will still be able to learn which potential employees are at risk for future disease and the attendant medical bills. Where these risks are substantial employers will often find that it is more cost effective to discriminate. Other legislatures recognized this problem and prohibited genetic testing as well. But this too falls short because most employers who acquire genetic information do not get it by testing themselves. Rather, they obtain it by examining applicants’ medical records and checking their family history and tests they have taken privately. Employers are able to see these records because there is a gaping hole in the ADA that allows employers to see an applicant’s entire medical history once a conditional job offer has been made, including information that is not job related in any way. The only effective formula is to prohibit both discrimination and employer access to genetic information. Several states, including New Jersey, have taken this approach in their statutes, as does pending federal legislation. While we may be able to deal with the direct threat of genetic discrimination by employers, our growing ability to see into the medical future raises broader issues that are not easily answered, even in theory. The greatest of these is whether we can maintain the model of providing health insurance through employment. There is no compelling reason why health insurance should be provided in this manner. Most advanced industrial nations do not do it this way, and the United States’ decision to do so was a historical accident. During World War II, there was a shortage of employees because most of the workforce was in uniform. But strict wage and price controls prevented employers from competing for workers by raising salaries. Clever employers realized that they could escape this trap by providing other benefits such as medical insurance. Workers liked this change and it became standard operating procedure for American employers. Despite its strange beginning the model worked well for decades. Employers knew that some of their employees would ultimately prove to be medically expensive, but had no way of knowing who they were. So employers hired on merit and trusted in the law of averages to avoid competitive disadvantage. But as it becomes possible to know which employees are at increased risk for future disease, everything changes. Employers are by nature profit maximizers. That is what they do. That is what they are supposed to do. Employers do not maximize profit by deliberate hiring people whom they know are likely to incur higher than average medical costs. And even if an individual employer was willing to take that course, it would be under great pressure to change if its competitors did not follow suit. There is an inherent tension between the way employers make decisions in a market economy and our collective desire to see people with genetic markers have equal employment opportunities. This may be one of those contradictions we simply choose to live with in an imperfect world. Or we may have to reconsider the way we provide medical care, such as the single payer model which Canada has adopted. Insurance discrimination is likely to be even worse. Health insurers today lose money on individuals who contract serious expensive diseases such as cancer. The premiums the policyholder pays don’t even come close to covering the cost of their care. Insurers are able to make money by charging people with good health a premium that more than covers their costs. The excess pays the loss the insurer incurs on those who contract expensive medical conditions and the profit. The dream of every insurer is to be able to issue policies only on people who won’t file claims. That’s the world that genetic testing begins to make possible. Insurers can determine in advance which applicants are likely to be unprofitable and refuse to insure them. This process of medical underwriting is so deeply ingrained in the insurance industry that they don’t even think it’s wrong, and seem genuinely surprised when others find it objectionable. On a literal level, this could be changed through legislation prohibiting discrimination. Health insurers could easily function under such a regime. They have always insured people with genetic markers, and made a profit in the process, by pooling risks and costs. There is no reason they cannot continue to do so. All insurers lose if they cannot discriminate is the ability to increase their profits by excluding people whose claims are likely to be high. Insurers understandably want to boost their profits, but they don’t need to discriminate to function efficiently and profitably. Several states have already outlawed genetic discrimination by health insurers, and the industry has continued to function well. It is even possible that the health insurance industry’s dreams of increased profits through genetic underwriting are an illusion. An individual insurer would make more money if it could exclude applicants with genetic markers without changing its premiums. But the insurance industry is fiercely competitive, and competition is largely based on price. If we continue to allow genetic discrimination, all insurers will practice it. Any competitive advantage will disappear, and price competition will force profits back to traditional levels. Life insurance, however, presents the more difficult issue of gaming. Health insurance is not subject to gaming. You cannot decide to increase the amount of health care you use. No one is going to break their arm with a two by four just because they have medical insurance. But life insurance is different. The amount of life insurance a person purchases is a completely discretionary decision. Moreover, there are virtually no limits on the amount of insurance you can purchase. You can have a $10 million dollar policy if you can pay the premium. If life insurers are forced to sell policies without genetic underwriting an individual who knows that they carry a gene that puts them at elevated risk has an opportunity and incentive to game the system. For example, I’m a 52 year old male. If I were to learn tomorrow that I had the Huntington’s gene, I’d know that I was lucky to lived this long, and that I would probably die within the next 5 years. If I could buy life insurance at standard rates, I’d be a saint or a fool not to hock everything I own and buy millions of dollars in coverage. My wife and kids could mourn my loss in a castle on the Riviera. But if genetic underwriting is allowed, life insurers will refuse coverage to people with genetic markers, or will offer it at rates no one can afford. This would leave thousands of families destitute if the breadwinner dies, especially now that the welfare system has been dismantled. One answer to this dilemma might be to set up risk pools, similar to those that are used in auto insurance. Individuals who need coverage, but cannot afford the rate called for by actuarial computations, could obtain a modest amount of coverage (perhaps $250,000) at an affordable premium (but perhaps not the standard rate). But even if this were worked out, the fundamental tension remains. It is the nature of insurers to calculate premiums according to risk. That’s why safe drivers pay lower liability premiums and smokers pay more for health insurance. Asking insurers to ignore risk in setting premiums is like asking Martin Luther King to vote for David Duke. This problem is not limited to insurance and employment. As large as these issues are, they are only part of a larger picture. The knowledge we gain from the genetic revolution chips away at our very sense of community. Our willingness to think of ourselves as members of a community and to act as such has two deep roots. The first is that we are inherently social animals. Nature has wired us that way. The second is people have generally been better off as members of a community. But our sense of community is unraveling before our eyes. Millions of upper middle class parents have abandoned the public schools. This phenomenon is not limited to urban areas where the public schools leave much to be desired. Even in affluent communities, with excellent public schools, many middle class families send their children to private schools. We don’t even live in the same towns anymore. When I grew up, there was a rich side of town and a poor side of town. But at least it was the same town and people freely crossed from one side of the tracks to another. But today we see the rise of gated communities. These private towns not only have their own police and other municipal services, but you can’t even enter these new towns unless the security guard at the gate lets you in. Our growing ability to peer into the medical future only makes things worse. When we don’t know who among us will be struck by calamity, it makes sense to stick together and take care of each other. But when we know that the curses of Job are likely to befall someone else rather than ourselves, our incentive to be a community diminishes. All of a sudden, we’re not in the same boat anymore. The genetic revolution did not create this sea change. Widespread accumulation of wealth and growing economic inequality are the primary causes. But predictive genetics adds fuel to the fire. The greatest challenge we face entering a new century may be how to maintain our sense of community as the economic foundation of community disappears.